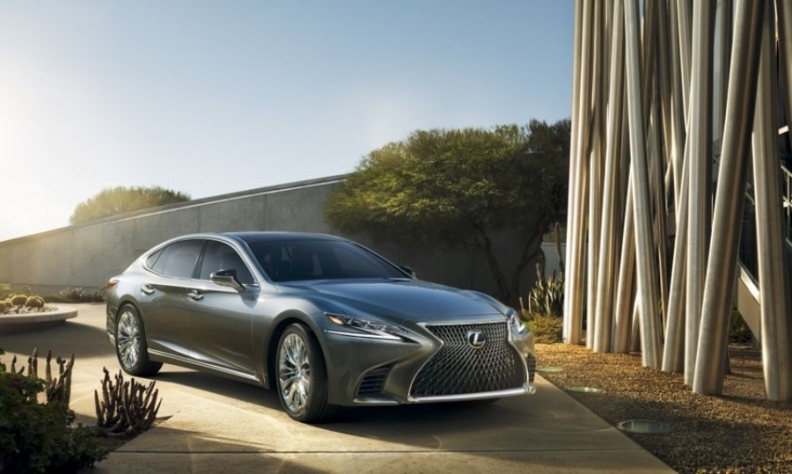 TOKYO — The new-generation 2018 Lexus LS arriving in the United States and Canada early next year showcases the brand’s latest, greatest automated safety technology. But the brand won’t call it self-driving. What the car will do and will not do required some careful wording, Lexus says. The flagship luxury sedan gets a complex shutdown system to safely guide the car to a stop when the driver is incapacitated or just lulled into complacency behind the wheel. Dubbed Driver Emergency Stop Assist, the technology aims to keep drivers engaged when the LS is cruising down the highway in lane-tracing mode. That new cruise control system allows the car to stay centred in its lane and automatically steer around curves at low and high speeds. Lexus outlined a litany of advanced safety technologies on the LS, including some it said were world firsts, late last month in Tokyo. Still no response? Then the car assumes something is amiss and gets serious. First it will activate the hazard lamps and horn to alert surrounding vehicles. Then the system will automatically bring the car to a stop within its lane. Erring on the side of caution addresses two trending issues. The first is driver health, a growing concern in Lexus’ home market of Japan, a rapidly graying society in which more elderly drivers are getting behind the wheel. The other is inattentive complacency, as drivers grow comfortable and trusting of advanced automated driving systems. In 2016, the driver of a Tesla Model S died behind the wheel while his car was in Autopilot mode. Critics charge that the name Autopilot sends a misleading industry message that drivers can relax without acting as a safety backstop to automated driving technologies. Lexus calls its LS system “Level 2 autonomous driving” on the SAE International scale. But Toyota Motor Corp.’s luxury division wants to be clear about its limitations.